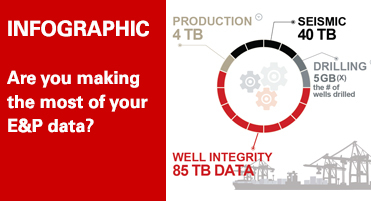 As exploration and production challenges intensify, the ability to effectively manage E&P data throughout its life cycle takes on even more importance. E&P decision-makers require efficient access to comprehensive data sets to make critical business decisions. Landmark provides Information Management solutions to manage data throughout the asset lifecycle ensuring stakeholders have the right data at the right time, and get the best return on their investment. 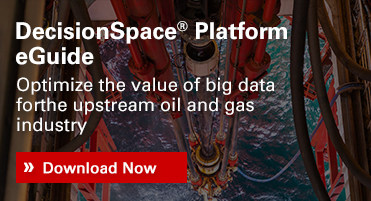 In the past, the biggest challenge in E&P information management was handling large volumes of monolithic datasets and making them available to those who need them. Data volumes continue to grow exponentially, but today the real challenge comes from the vast number of systems used to acquire and generate data throughout the oilfield lifecycle. This is compounded by the growing number of legacy data management systems and software applications in use within a modern E&P organization. Modern information management challenges cannot be solved by simply deploying a new database or a web portal. They are business problems and must be addressed strategically. Having the right data strategy in place is critical to ensuring the success of any asset appraisal, reservoir development, or production optimization workflow. Information management processes must be aligned with your business goals and objectives. A key component of any project is the planning stage. Companies assess, evaluate, and create an objective view of their information framework, governance, platforms, and technologies relative to industry best practices and business-specific data maturity models. 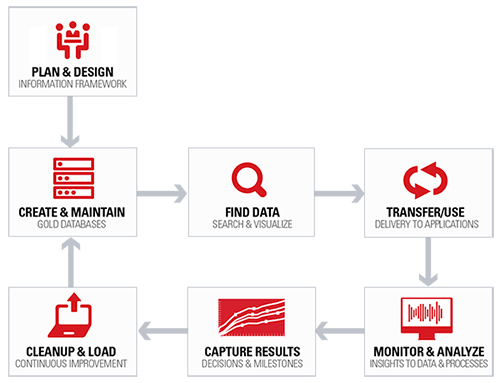 No company can deploy a comprehensive end-to-end data life cycle system in a single project. Instead specific goals are identified and project prioritized that provide the most value to the business with minimal disruption to the technical staff. The decision of a technical architecture that leverages current technology investments while preparing the for future growth is critical. A modern platform should be built for all types of data from multiple vendors and domains, and provide availability from any hardware platform, location or device. Data is distributed throughout an organization in a wide variety of formats. On one end of the spectrum, underutilized and dark data is common and provide little value to the business while data proliferation creates confusion and uncertainty as data is duplicated and modified. Breaking down data silos and creating a single source or “gold version” for a data type improves efficiency and provides the basis for better decisions. Good Master Data Management practices bring together isolated data and reduce inconsistent, incomplete or duplicate data. It automates manual processes which reduces costs and potential errors. Data standards are developed and a full inventory of existing data documented and conflicts between conflicting data resolved. The result is the company’s best version of the data and provides the basis for the analysis and interpretation. Ensuring good quality data is not a single event but an ongoing process that continues throughout the life of the data. Dashboards and analytics provide valuable information to monitor and improve the data as it is acquired and used. While data consolidation may be desirable it is not always practical. Technical users require applications and data from a variety of vendors and sources to complete their workflows. Data federation allows users to access data from data sources without having to move it from its original location. Providing tools that access data in context enables users to quickly find all the relevant data available in the organization. Once located, they can use the data for further analysis or transfer selected data to their applications. Automated processes help maintain data integrity and quality and make users more confident in the data they use to make critical decisions. Data becomes information when it has been analyzed and used, context and relevance is defined and meaning emerges. Unfortunately many companies do not fully capture the results of interpretation and analysis and the derived information is lost. Data and information that was used in the evaluation and decision making process must be kept for regulatory purpose as well as to inform future work. Resulting information is validated against company standards and loaded into the Master Database to make it accessible to other domains and future users.